President Trump has vowed to repeal the Johnson Amendment, a move that — if successful — would strike down the rules that prevent nonprofit organizations from electioneering. In 2013, I had the opportunity to serve as a member of the Panel of Nonprofit Sector Representatives for the Commission on Accountability and Policy for Religious Organizations. During my service, our sole purpose was to examine this very issue, and to provide expert input on whether or not the Johnson Amendment should be repealed. Section 501(c)(3) organizations — including churches — should be and are allowed to engage in advocacy (including limited lobbying) in support of public policy positions that are aligned with their fundamental purpose, mission, or belief. These activities seek to raise public awareness about issues of importance. 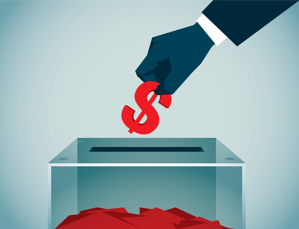 To allow 501(c)(3) organizations to electioneer would result in organizations diverting resources that were solicited and exempted from tax under the assumption of “public benefit” to directly impact the results of an election. The money contributed to the organization would be tax deductible, and instead of serving the public, it would be used to influence an election. Nonprofit entities are free to form as a 501(c)(4) organization if they want to specifically participate in or intervene in a campaign. If the prohibition were relaxed, 501(c)(3) organizations would be opened up to potential political pressure to support or oppose specific candidates as a quid pro quo for government funding or other support; or, to more subtle pressure or retaliation against previous political positions. Roughly one-third of nonprofit revenues come from government funding. If section 501(c)(3) organizations engage in electioneering, government agencies distributing grants may choose not to select a section 501(c)(3) organization that supported a candidate from the opposing party. Practically speaking, if section 501(c)(3) organizations were allowed to electioneer, 501(c)(3) organizations would be created and managed for the express purpose of influencing elections. For all of these reasons, BoardSource stands with our colleagues at Independent Sector and the National Council of Nonprofits, as well as many others, in firm opposition to the repeal of the Johnson Amendment. The Nonprofit Almanac 2011, prepared by the National Center for Charitable Statistics at the Urban Institute (8.9% from government grants and 23.2% from government fees for services and goods).